Adding a video to a content page only requires just a few steps. This document is to help add content and information using embed codes from Youtube, Vimeo and other resources. The embed code provided by the site the video is coming from. You can find this by going to Youtube, select the video you would like to add and click Share > Embed. Copy the code in the box below "Share This Video". This is what you will be placing into your content page. 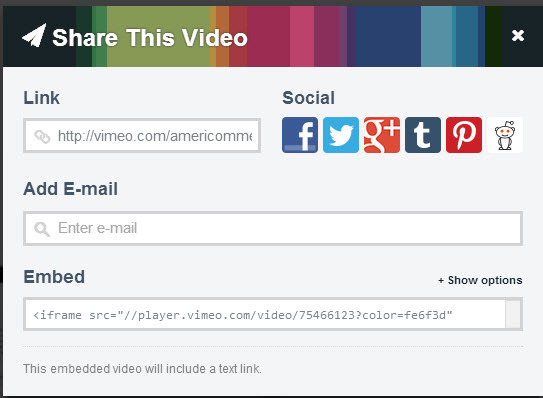 For adding a video using Vimeo, find the video you want to add and click "Share". Then copy the embed code below. Now we are going to add the video embed code to the content page. 2. 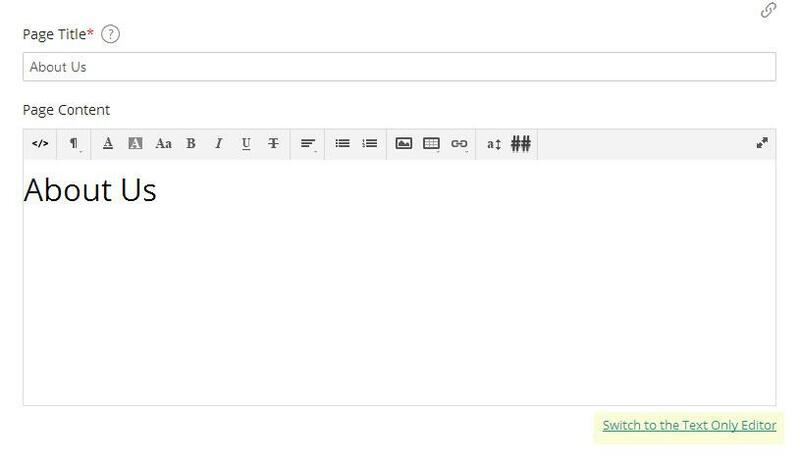 In the Content Page Editor, Select "Switch To Text Only Editor". 3. Place the embed code into the Text Editor and click Save. You can also alter the HTML around it to center it, Add a description below and more if you have some background on HTML.